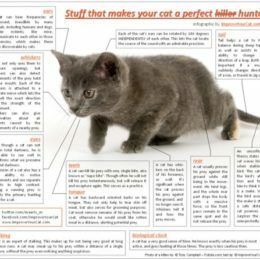 Research shows domestic cats are extremely good hunters with an average of every third pounce resulting in a catch. Only few other animals, mostly large cats, can beat it. Is it coincidence? Not even close, here are the reasons why cats are one of most successful hunters ever walked on the Earth.